Xavier Peugeot is the brother of PSA chairman Thierry Peugeot. 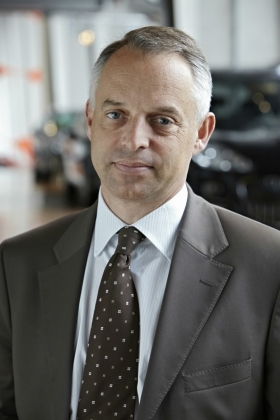 PARIS -- PSA/Peugeot-Citroen has appointed Xavier Peugeot to the newly created position of product director for the Peugeot brand. The move reflects PSA's new management structure announced in December intended to give the Peugeot and Citroen divisions more autonomy to expand their product strategies and to improve the quality level of the two brands. Xavier Peugeot will be responsible for implementing the strategy for Peugeot on a product level, a Peugeot spokesman told Automotive News Europe. A Citroen spokesman declined to comment about whether the brand will appoint a new product chief in the near future. Carlos Da Silva, an analyst for IHS Automotive, said the new management structure gives both Peugeot and Citroen more flexibility to develop their product and overseas strategies. "Peugeot and Citroen are being given more autonomy, at least as far as product planning is concerned, meaning that each brand can explore any segment and any type of product development independently from what the other brand is doing," Da Silva said. "Of course, this has to be coherent with the common platform strategy but this is certainly a novelty within the PSA organization and their traditional way of approaching product development," he added. Guillaume Couzy will assume Xavier Peugeot's previous role as director of marketing and communication for Peugeot. Both will report to Peugeot CEO Vincent Rambaud. Couzy joined the Peugeot division in 1993. He has held various management roles within the division in Brazil, Portugal, and Mexico before assuming his more recent post as the general manager of Peugeot's Brazil division. Xavier Peugeot is part of the Peugeot family, which owns a controlling minority stake in PSA. His brother, Thierry, is chairman of PSA. Da Silva said that Xavier Peugeot's appointment as a Peugeot family member is not especially important and is part of a normal career path. "People from the Peugeot family have always been around, and above all, they are the ones who really own and then manage PSA as stakeholders," Da Silva said.